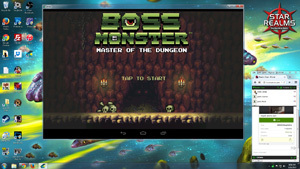 Brotherwise Games have released Boss Monster for Android, iOS and PC via Steam. The demo version of the game is free with the full version available for purchase in game (currently $6.99). A version for Mac is coming via Steam in the near future. 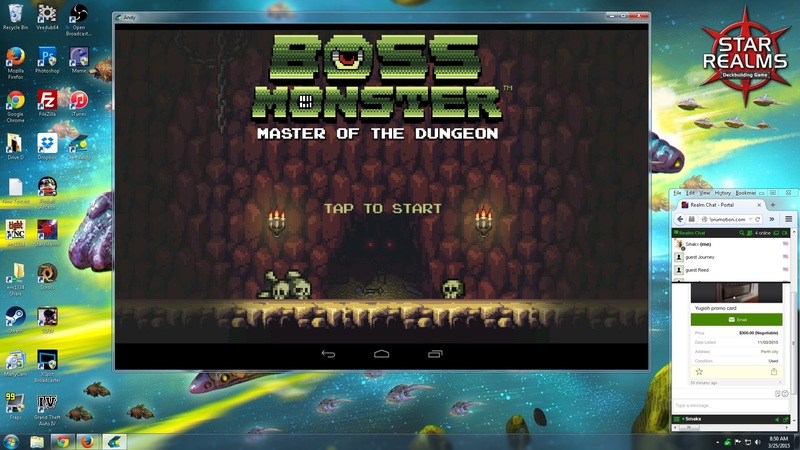 While many of you wait for the delayed port of Boss Monster to your platform of choice, it has been confirmed that the game runs well on PC using Andy the Android Emulator. Click the image for a larger version. - If a prior attempt at installing Andy failed, go into the control panel and uninstall both Andy and Oracle VM Virtual Box before attempting to reinstall using the tips in this list. - After downloading the installer, right-click it and choose "Run as Administrator". - During the installation you will see several prompts, answer yes to all of these. - On first run Andy will trigger the Windows firewall, click "Allow". - After android boots, click and drag the circle with the lock to the right to unlock it. - Click the Google Play Store icon (white shopping bag) and search for Boss Monster. Click install and you will have the demo version, the full version can be purchased in-app for around $7. - You will need to hit the lower parts of some buttons in the game, this is a minor issue that occurs on some actual devices as well. - Andy's emulation settings can be configured by right-clicking the the "HandyAndy" icon in your Windows system tray and selecting "settings". Boss Monster has been released for PC via Steam. See the updated original post for more information.